Ethan Nadelmann, Executive Director of the Drug Policy Alliance, described by Rolling Stone as "the real drug czar"
Cy Scott, Co-Founder of Leafly, and many others! 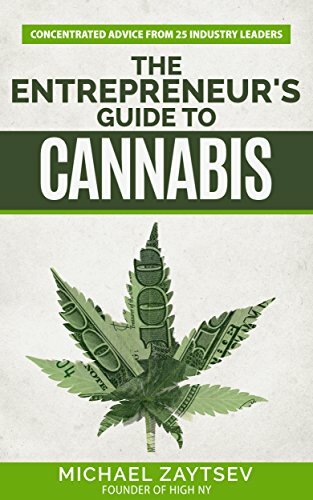 Legal Cannabis represents a $50 Billion Dollar a year industry; the industry will never be as small as it is today!Don't enter the "Green Rush" without learning from the pioneers interviewed for this book. Begin with The Entrepreneur's Guide to Cannabis.